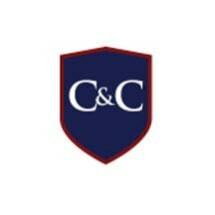 Connors & Connors PC is a Martindale Hubble "AV" rated and Richmond County's only A.M. Best listed firm. We represent a wide variety of insurers and self insured corporations in civil litigation in state and federal courts throughout the greater New York metropolitan area. Founded by John P. Connors in 1955, we pride ourselves on our ability to thoroughly analyze all issues presented and develop a litigation strategy which reflects our clients' goals, demands and objectives. Over the past six decades, we have enthusiastically defended close to 25,000 claims alleging negligence in the ownership, operation, maintenance, renting and leasing of vehicles; negligence in the construction, ownership, maintenance, management and control of commercial and residential properties; negligence in the dispensing of prescription medication; negligence in providing security services at academic institutions, hotels, hospitals and municipal facilities; negligence in the design, manufacture and distribution of products, and negligence in the hiring, training and supervision of employees. Although our clients present us with differing factual scenarios and legal issues, their needs and expectations regarding legal services are the same. Our clients expect us to know their corporate structure, respond timely to their inquiries, evaluate claims promptly and candidly, appreciate their approach to litigated claims and bill responsibly. We therefore make it our priority to work together with our clients, corporate counsel, risk managers and claims managers in the defense of all claims. offices in midtown Manhattan at 600 Third Avenue to augment the services provided by our main office in Staten Island. Over the years, our firm has enjoyed a close working relationship with both the bench and bar particularly in Richmond, Kings and New York counties. Members of our firm have served the local and state bar associations in both elected and appointed positions. John P. Connors, Jr. is past President of the Richmond County Bar Association, past Chair of the New York State Bar Association, Trial Lawyers Section, and a member of the Grievance Committee of the Second, Eleventh and Thirteenth Judicial Districts. Mr. Connors was also appointed by former Chief Judge Judith Kaye and reappointed by Chief Judge Jonathan Lippman to serve as Chair of the Independent Judicial Election Qualification Commission for the Second and Thirteenth Judicial Districts. He also serves as a member of the Board of Directors of Northfield Bank, Notre Dame Academy and the Heart Institute of Staten Island. In addition to our various activities on behalf of state and local bar associations, John P. Connors, Jr., Robert J. Pfuhler, David S. Heller and Leonard A. Robusto have lectured on premises liability, negligent security, cross examination of experts, civil trial practice, jury selection and insurance coverage. On a file by file, day by day basis, we believe that evaluation, preparation and communication is an indispensable ingredient in the defense of all cases. As such, at the outset of each new case assignment, we confer with our clients to gain a clear understanding of our client's version of the incident and identify all potential discovery issues and deposition witnesses. In addition, weekly meetings are held amongst the attorneys and paralegals to review all matters for the coming week to guarantee that all cases are properly prepared for trial, depositions, discovery, motion practice or pre-trial conferences. Defending various premises owners, vehicle leasing companies and contractors have also caused us to develop a familiarity with the insurance coverage issues which arise in premises liability and auto leasing cases. As such, we are often called upon to assess the viability of declaratory judgment actions against recalcitrant insurers. In cases involving diversity of citizenship, we recommend removal to federal court. (Please note that we do not recommend removal of cases filed in Richmond County.) In both federal and state court, once all necessary discovery is complete, we recommend moving for summary judgment in cases in which we can provide some specific evidence of the steps our clients have taken to keep the area free of transient defects or dangerous conditions. Once we are in a position to evaluate the settlement and sustainable verdict value of a case, we discuss with our client the strategic value of participating in a non-binding mediation. If a non-binding mediation is in our client's best interest, we submit a comprehensive confidential mediation statement to the mediator. The mediation either results in a favorable settlement or identifies those cases which will be tried. Given the economic pressure faced by all of our clients today, we are ever mindful of our responsibility to assist our clients in achieving a predictable outcome at a reasonable cost. We look forward to discussing with you how we may be of service to you and your company.